We were approached to support this project to research and document the extra-ordinary story of the first veterinary year to graduate from Bristol Vet School in 1954 – the Class of ‘54. Since part of our remit is to build veterinary archives and collections, we were keen to get involved. However, we must modestly give all credit to Professor Sarah Baillie, who inevitably did the bulk of the work! We hope this project will encourage wider interest in the history of all the UK veterinary schools. In the meantime, the Class of ’54 is a fascinating read. 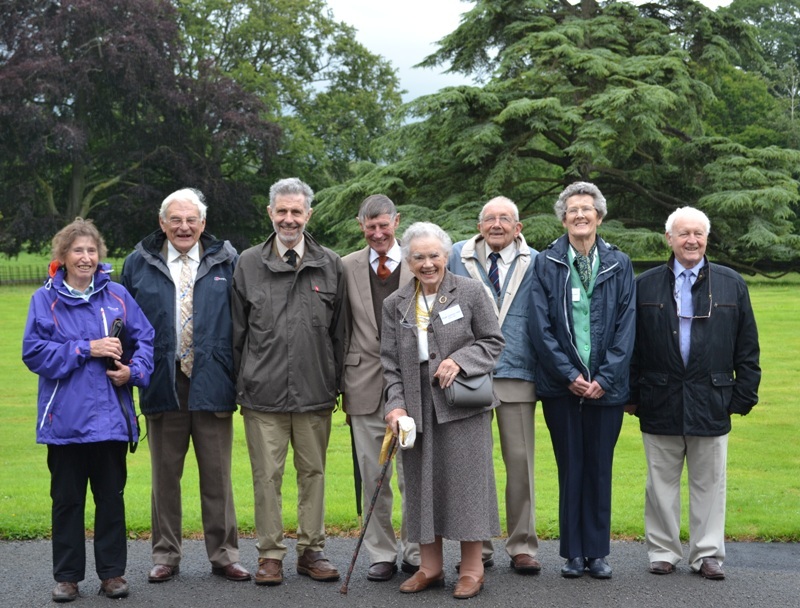 Some members of the Class attended a reunion on 3 July 2012 to mark their graduation. This photo shows a number of those who attended the reunion standing in the same spot where they were photographed 58 years ealier. Click on the photo to view an enlarged version. Photo: Class of 54 attributed to University of Bristol. In 2011, as part of the 250th anniversary celebrations for the Founding of first Veterinary School in Lyon, I was in an online EU discussion forum called ‘NOVICE’ where we were talking about our own vet schools and their evolution. I realised that I could find very little about the veterinary school at Bristol, where I studied. So I dug a little further and found that in the pre-internet era, records and memorabilia were fairly scarce. Then, by a strange and lucky coincidence, I realised that as one of my local neighbours was Caroline Pym (nee Clark), who was one of the Bristol Class of ’54, she could help. Now eighty, she was enthusiastic about gathering up accounts from her classmates, and she wrote letters asking for stories and memorabilia. What led you to become involved in conducting the research yourself? I have a personal interest in ‘beginnings’ and I am really passionate about Bristol as my alma mater. I found I was getting to know the individuals involved personally, and listening and studying their stories was a great experience. I just got more and more engaged, and it became a fascination. I wanted to explore more. I was lucky to have a three week gap as I moved jobs between RVC and joining Bristol, and I used that time to do most of the editing and compilation, as well as quite a few Saturday mornings! Personally it was a journey to an unknown place and time. I wasn’t terribly confident initially. It requires a different approach and style of writing that is fairly foreign to me. But I so enjoyed it and will definitely do it again. I think I’ve found an absorbing hobby for me, but for when I retire! What was the most interesting/amusing discovery? All the pranks! Obviously pranks and vet students go together and my year was no exception. But it was a surprise to find that even in the 1980’s, the ‘prank’ themes and traditions went way back to those first years. Otherwise, the fifties was a time of great change for Bristol – Winston Churchill was Chancellor and the city was still re-building itself after the war, and probably almost unrecognisable to us today. What was fascinating about that particular group was that they went on to become such high achievers. What was fascinating about that particular group was that they went on to become such high achievers. Of the twenty three graduates, six were women, two of which were awarded MBE’s for their services to society, and others became professors, deans and more My theory is that Bristol, being a new veterinary school, not even with much in the way of bricks and mortar for the vet school, may have attracted a particular character type – one attracted to a certain level of challenge and unknowns! The fact that a number of the classmates were no longer alive left some significant gaps in the records. The surviving members are all in their eighties and this meant there was an incentive not to let things drift. I was very conscious to check facts, and write the account in a way that gave a balanced view. Inevitably, some accounts had slight contradictions or gaps initially, but it was great to find that they had a very cohesive perspective, even after all this time. I am happy with the accuracy of the account. Did you find people were happy to share their stories? Definitely and I heard some stories that are not in print! Mostly things you would expect from vet students. But yes, and Caroline kept me to task, and there was much enthusiasm and help from Bill Watson, Dave Smith, Bill Jones-Davies, Roger Short and Avril Waterman-Pearson (who contributed material on behalf of the late Harold Pearson). I also had support from Andrew Gardiner (Edinburgh) and Clare Boulton, Librarian at RCVS Charitable Trust Library. Do you have any tips for people considering doing something like this? Yes, have a go! Whatever source material you get, you will need to collate and synthesise it to make it as accessible as possible. But don’t underestimate the time it takes. Also there is a level of subjectivity, which I as a vet was not used to being more scientifically trained, There is an element of interpretation and you will need to do quite a bit of consultation and searching to get your facts straight. Are there any plans for Bristol Veterinary School to use this material? Yes, there will be a re-union lunch in the summer, a feature in the newsletter and a pamphlet. I will be presenting this material at various conferences in the UK such as the Veterinary Educational Symposium, and at a plenary for the Veterinary Educator Collaborative in the US. What would you like to see happen now and how do you think that will be taken forward? This was such an extraordinary group of high-achievers who contributed so much to society and the profession, and I have barely touched on their individual stories. I would dearly like to see that happen. I encourage others and the veterinary schools to take a closer look at our professional history – there is so much to enthral us. 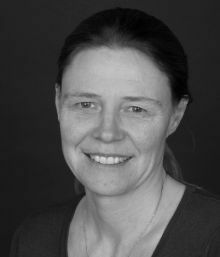 Professor Sarah Baillie, Chair in Veterinary Education, Bristol Veterinary School. The Class of '54 pamphlet and all the material collected during this project has been scanned and added to the archives at the RCVS Knowledge. See our other ongoing projects Capturing life in practice and Pioneers and professionals.